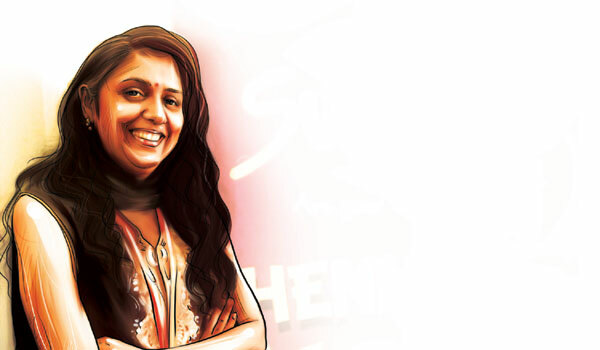 Aarthi Varanasi kicked off her radio career with a private radio unit just around the phase two implementation of FM stations (over eight years ago). She had also attended a workshop of mine back then, where I noticed her hunger to learn, her attention to perfecting any lags and, most importantly, her love for the microphone. After a stint at Radio City and a sabbatical, she is now back on the air waves, hosting a show on Suryan FM in the breakfast time zone. A perfect mix of maturity and exuberance, hers is a voice that makes the soundscape vibrant. I caught up with Varanasi to find out more. How has the comeback been? It has been fun and challenging. Hosting a totally new show, a breakfast show at that, is a dream come true for me. I am thoroughly enjoying this phase. When you love your work, the outcome is definitely very satisfying and positive. Chennai Mail is the show I host (from 7- 9 am). Ita��s about infotainment and music. We begin the show on a positive note, speaking on health and local happenings. Each day, a Chennai-based issue or topic is discussed, with experts giving their opinions. We alsoA� invite callers to speak on the same. Why the love for the medium? I am a peoplea��s person. I am very talkative and this medium lets me do what I like and be who I am. Being a trained singer, music is my first love and with good music playing all the time, I can perform my job even better. Radio helps me connect with people and express myself. This connect gives me happiness, motivation and makes me feel this is where I belong and this is what I love doing. Given a chance what kind of radio station would you like to create? Knowing fully well the power of the medium, I would like to voice and be part of social issues and good causes that require support and attention. I also want to play the best music and encourage new talent, keeping in mind the core of any stationa��the listener. Catch Varanasi light up your mornings, every Monday to Saturday, on Suryan FM 93.5. See you next week.